Simply plug it to a mains adapter and watch the RBY735 bulbs illuminate. 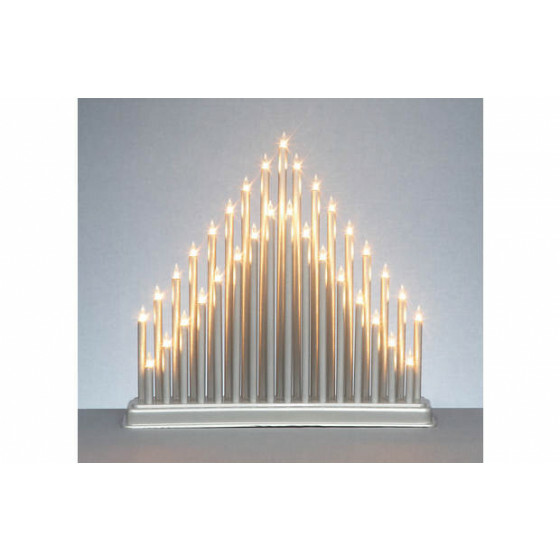 A dazzling addition to your home, this 32cm tall Candle Bridge Tower radiates an inviting glow without the actual danger of an open flame. Size of decorations:H35cm, W36cm, D9cm.